NEW RCM Theory Syllabus 2016 and Ultimate Music Theory ROCKS! The NEW RCM Theory Syllabus 2016 is here! Ultimate Music Theory has BIG NEWS for you! Watch Glory St. Germain share what's coming up for you in the Royal Conservatory of Music Theory Syllabus - you don't want to miss this one! RCM Theory Syllabus & Ultimate Music Theory Rocks Series! This news is SO big, you will want to hit the share button and send this to your colleagues! If you are teaching using the Royal Conservatory of Music Theory program, then you may have seen the NEW 2016 RCM Theory Syllabus. NEW RCM Theory Syllabus. At Ultimate Music Theory, we’ve got you covered, both as a student AND as a teacher. 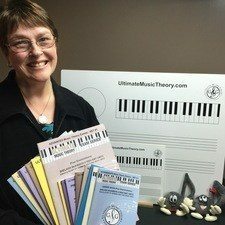 Here’s how we are helping teachers and students gradually learn all the new concepts and details about how to use the Ultimate Music Theory Workbooks and UMT Exam Series by Shelagh McKibbon-U’Ren, along with the new RCM Theory requirements. Prep 1, and Prep 2, Basic, Intermediate and Advanced or the Complete Music Theory Rudiments workbook. which is the cross over period. Students preparing for their Intermediate Exam will sign up for the Level 6 Theory Exam. Students preparing for their Advanced Exam will sign up for the Level 8 Theory Exam. They will have choices on their exam to complete questions based upon either the old Theory Syllabus or the new Theory Syllabus, so there is nothing new to worry about... yet! The BIG NEWS is that we will be presenting a series of LIVE GSG MUSIC Webinars that you can watch from the comfort of your own home, while sitting and enjoying a cup of coffee, taking a few notes as you learn all the new concepts in the 2016 Royal Conservatory of Music Theory Syllabus from the Beginner Preparatory level through to Level 8. Each Ultimate Music Theory Webinar will be full of How-To Tips along with downloadable supplemental worksheets and Exams to make your teaching life a whole lot easier! As you continue to use the exclusive UMT step-by-step system to really learn how to teach these concepts successfully. No more wondering what goes with what or where to find the answers to the many questions you may have. At Ultimate Music Theory we are passionate about enriching lives through music education! And providing you with the short cuts, memory joggers, examples and fun ways to teach your students with confidence and help them learn faster and have more fun teaching music theory. 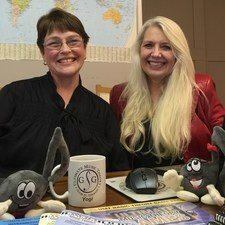 Shelagh and I are super excited to be presenting these FREE teacher training webinars introducing all the new concepts along with downloadable materials that we are creating just for you. And we KNOW you are going to love it! At Ultimate Music Theory, we understand that there are different theory requirements for different schools of music. The syllabus may change frequently, with different theory concepts being required at different levels of study. The RCM Theory Cross-over period ends next year for the Winter 2017 exams. You will have all the tools that you need to successfully teach the new requirements for this Theory Syllabus using the Ultimate Music Theory Workbooks that you know and love! So ORDER your Ultimate Music Theory Workbooks, Answer Books and UMT Exam Series today and get ready to learn faster with our proven step-by-step system. You know that we have got you covered and we are here to enhance your learning and teaching experience by supporting you through our FREE GSG MUSIC Webinars. Get registered for the full “RCM Theory Syllabus and Ultimate Music Theory ROCKS!” Webinar Series today! Happy Learning & Teach with Passion!